‘A distinguished layman in testifying the Gospel’, was how Pope John Paul II described Ivan Merz on September 10, 1994, in the Zagreb cathedral. The process of beatification and canonisation of Ivan Merz began in Zagreb in 1958 and was continued in 1986 in Rome. Aware of the fact that he would die young, at his deathbed Ivan Merz offered his life to God as sacrifice for the Croatian youth. To what extent this sacrifice pleased God was seen in the years that followed: he became a role model and ideal of Christian life for thousands of young people. Throughout his life Ivan Merz kept an especially interesting and educational diary. He completed his literary studies in Paris and upon the return to Zagreb he became a French and German teacher at the Archdiocesan Classical Gymnasium. Without any prejudice and limitations, he embraced the faith of the Church in the real Christ’s presence in the Eucharist, and in his diary he wrote: ‘The Eucharist is the source of life’. And this is why sacrifice, Eucharist and apostolate are the three words carved on his tombstone. The Blessed Virgin Mary had an important role in Ivan’s life as she was the one he addressed his honest and touching prayers to. Ivan Merz became a moral leader of the Catholic youth and presented the public with a new way of thinking, feeling and judging through spiritual values. His educational work, particularly his work in the last couple of years of his life, was dedicated to moral problems. He studied everything that the Church’s theologians, the Pope and bishops all over the world wrote and taught about. He devoted himself to instilling proper concepts and perceptions of love, marriage, purity and sexuality in youth. 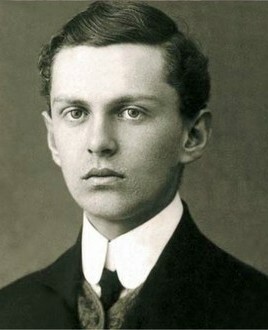 He died on May 10, 1928. The news of his death spread quickly all over Zagreb and then Croatia. He left an indelible imprint of which many books, articles and nicknames testify. ‘Light at the mountain’, ‘the knight of God’, ‘a brother knight’ ,’an angel consoler’, ‘knight of Christ the King’, ‘the Pope’s man’, ‘a God’s man’ are just some of them. His remains are kept in Zagreb, in the Basilica of the Sacred Heart of Jesus in Palmotićeva Street.